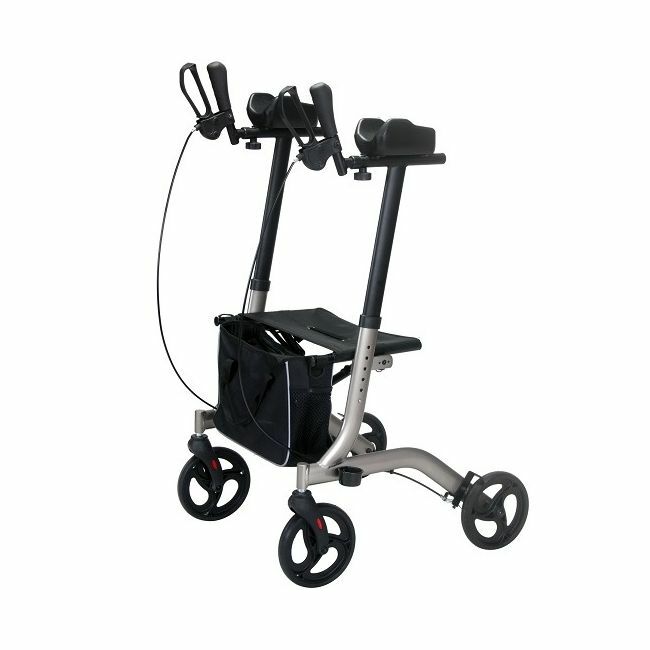 The Elite Care Forearm walker allows the user to lean on the adjustable height arm supports whilst still being able to use the brakes. Mesh canvas seat between the upright supports. Included shopping bag attaches to the front of the walker to carry smaller items such as a handbag. Folds up side to side for easy storage and transportation.